To make sure that you will have a grooving start of the new year, the DJs Eddy Ramich and Preddy will deliver some Soul, Jazz, Funk, and House rhythms for all those cats who want to dance steadfast. As a very special guest they invited Seiji from London to play with them. The Briton is world-famous for his Brokenbeat science. But also tricky electronic arrangements, instrumental HipHop, and slowly grooving Downbeat are parts of his musical output. 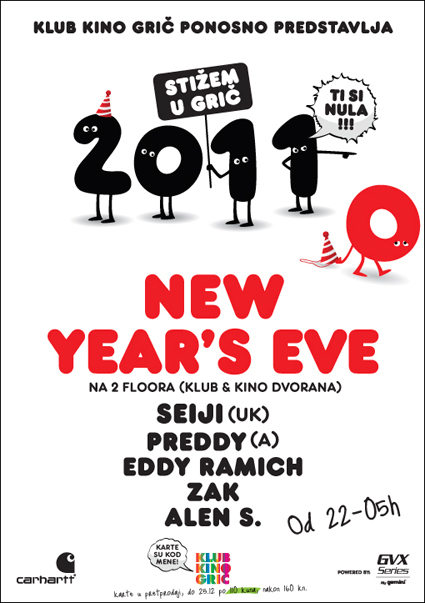 During the New Year’s Eve bash in Croatia he will dive into his widely ramified opus to welcome the new decade with some exceptional party music.